Bigbasket's founders had their first brush with e-commerce back in 1999 when they started Fabmart.com to sell books, toys and groceries online. Bigbasket has turned into country's biggest e-grocer. Tech startups are typically founded by young entrepreneurs with more passion than experience. This is as true in India as it is in Silicon Valley. Then there's Bigbasket, whose founders are veterans of the dotcom bust and mostly north of 50. 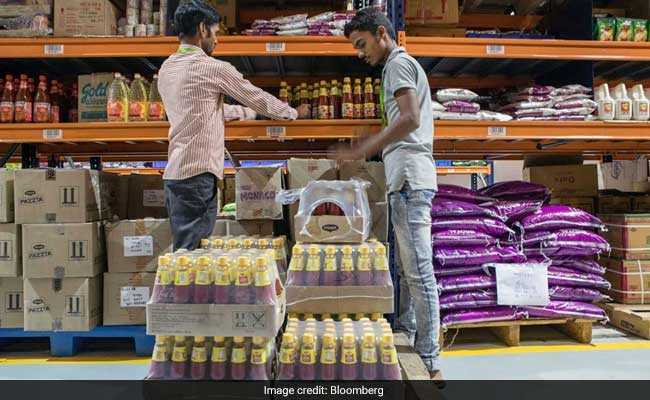 Drawing on their successes and failures, they've turned their six-year-old startup into country's biggest e-grocer and are taking on a host of competitors, including Amazon and brick-and-mortar chains operated by the nation's biggest conglomerates. 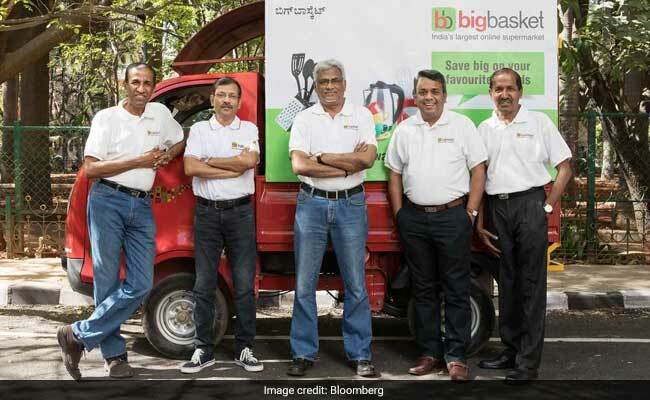 Bangalore-based Bigbasket delivers everyday cooking essentials like ghee (clarified butter), diced coconut and fragrant basmati rice, as well as 18,000 other items from bread to laundry detergent to eight million customers in 25 cities. It's mostly targeting upwardly mobile young Indians keen to avoid traffic and the drudgery of supermarket runs. Last month, Bigbasket raised $300 million in an Alibaba-led round that valued the grocer at $950 million-just shy of unicorn status. In a country where groceries account for half of the almost $1 trillion retail market, Bigbasket is using knowledge learned the hard way during the dotcom era (don't expand too quickly or use discounts to acquire shoppers) and latter-day innovation (putting vending machines inside apartment buildings; building a supply chain of competitively priced organic produce). "We want customers to get hooked, and make our service harder to replicate," says Hari Menon, 56, co-founder and chief executive officer. He, along with V.S. Sudhakar (58), Vipul Parekh (53), Abhinay Choudhari (47) and VS Ramesh (62), founded Bigbasket parent Supermarket Grocery Supplies Pvt, in December 2011 in a nondescript building in Bangalore's humming Indiranagar neighbourhood. Bigbasket's founders had their first brush with e-commerce back in 1999 when they started Fabmart.com to sell books, toys and groceries online. "Those were the dial-up days, there were no payment gateways, and the internet user base was more hype than reality," recalls co-founder Sudhakar, standing in a Bigbasket warehouse where women shake soil from mounds of vegetables before packing them into ready-to-ship bundles. "Back then, it'd take 50 seconds for a page to download." It didn't take the men long to realise that the world-let alone India-wasn't quite ready for online shopping, and they pivoted to physical stores under the name Fabmall. They soon merged with a brick and mortar grocery chain before getting acquired by another conglomerate. By 2006, the founders had sold out and begun angel investing. Delivering fresh food is challenging everywhere, but India presents steeper obstacles. The country lacks a cooling infrastructure-walk-in freezers, chill rooms, refrigerated trucks and so on. That precluded Bigbasket from buying produce directly from farms. So for the first year, every morning at 3:30, the founders visited a riotous wholesale fruits and vegetable market to buy produce, then picked up other items from a wholesaler. Eventually, Bigbasket put together its own refrigerated warehouses and a fleet of trucks. These moves let the company source the food more cheaply and eventually in 2016 led them to launch Express, a 90-minute delivery service for milk, eggs, bread and emergency supplies. By investing in "the dysfunctional food and grocery supply chain," says Arvind Singhal, chairman of retail consultancy Technopak Advisors, "Bigbasket's managed to get a head start." Still, there was a lot of competition, including LocalBanya, Sequoia-backed PepperTap and SoftBank-funded Grofers. 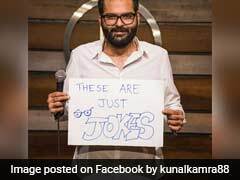 (Of them, only Grofers is still standing.) To stay ahead, Bigbasket needed to invest in technology: web-connected, temperature-controlled trucks, GPS-traceable vans, inventory-optimizing algorithms. "The days of experimenting were over," says Parekh. "We needed to step on the pedal." This all cost money and by then venture firms were more willing to invest. Starting in the fall of 2014, Bigbasket began mopping up capital-$35 million from Helion Venture Partners and Zodius Capital Advisors, $15 million from Bessemer Venture Partners, $150 million in a round led by Dubai-based Abraaj Group. By mid-2016, Bigbasket was in eight large Indian cities. Then it was time to target smaller cities. To grab the attention of residents in burgs like Kanpur, Surat and Vijayawada, they recruited Bollywood actor Shahrukh Khan as a spokesman. In one TV commercial, Khan lets shocked delivery boys in through the back door. When asked if he's the one who orders the groceries, Khan lowers his voice conspiratorially and says, "That's my role in the house." When they ask for his autograph, he says, "You'll be coming home every week from here on. We'll take a selfie next time." Along the way, Bigbasket has constantly had to adapt to local conditions. Originally the company wanted one person to drive the trucks and carry the orders into homes. But the delivery boys (they're mostly male) didn't want to be seen as drivers because they're considered lower status. So they had to hire one person for each job-which turned out to be crucial because parking is scarce so the driver needs to circle the neighborhood. They also need backup workers on standby because delivery people and packers have a tendency to take time off to celebrate local cultural events. "If there's a festival, 30 delivery guys take off to their village and return after four days," Sudhakar says. Groceries account for half of the almost $1 trillion retail market in India. Customised software automatically guides drivers to their destinations, which the company says has helped it achieve a near-perfect on-time rate. Late deliveries earn customers a 10 percent discount. Missing items are refunded, plus 50 percent of whatever the item cost. Seven hundred people handle customer complaints and answer 95 percent of calls within the third ring, Bigbasket says. Complaints range from missing items to delivery boys' hygiene. After getting one too many of these complaints, the founders mandated that their personnel wear clean shirts and open-toe sandals to suit the humid weather. "A Bigbasket person visits a household an average 50 times a year so being presentable was supreme," Menon says. Last year, the founders took stock of what they had achieved. Bigbasket was now in cities with a combined population of 150 million people, had good brand recall and was making money on each order. But, "we'd barely scratched the surface of the cities we were already in," Menon says. "It was time to bring in a strategic partner." After initial conversations with Amazon, Walmart and others, the founders zeroed in on Alibaba, which runs a large online grocery business in China and has built its own delivery operations. They're now preparing for the next phase of growth by plowing money into warehousing and delivery systems in the 25 cities to bring down delivery times to three hours. In two years, the plan is to double the range of products to 60,000 SKUs, and more than double the farmer base to 5,000, expand private label items and use Alibaba's muscle to source and import a range of merchandise to six times that of large-format supermarkets. "A customer should be able to buy whatever he wants," Menon says. Even as Amazon and local rival Flipkart push into groceries, Bigbasket's founders profess equanimity. Grocery is different from electronics or fashion and they're confident that strength in one category doesn't necessarily translate to another. Bigbasket is growing quickly and aims to double sales each year to hit $2 billion by 2020 to take the third spot in Indian retail. "They've just gone past 100 meters in a 42-kilometer marathon," said Vishal Gupta, managing director of early investor Bessemer. "They have to hit the top spot and keep on running."